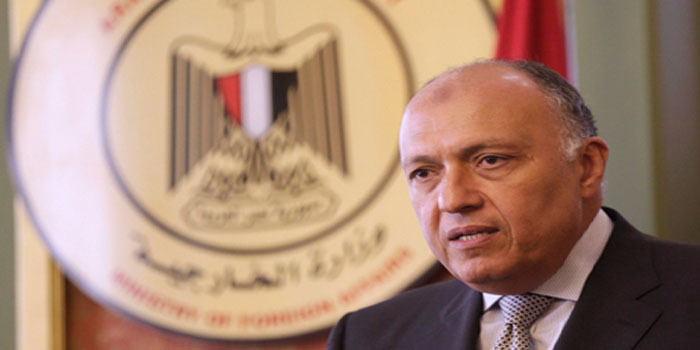 Egypt’s Foreign Minister Sameh Shoukry is in Oman at the head of the Egyptian delegation to the Egyptian-Omani joint committee, which kicked off in Muscat on Monday. The meetings will tackle means of boosting economic, trade and investment cooperation between Cairo and Muscat, the Omani news agency said. The spokesman for Egypt’s foreign ministry Ahmed Hafez said that the joint committee’s work is part of the follow-up to the implementation of the results of the meeting of President Abdel-Fattah El-Sisi and Sultan Qaboos Bin Said in Muscat in 2018. The committee is expected to see the signing of a number of agreements and memorandums of understanding between the two sides, as well as consultation on and coordination of positions on regional and international issues of common concern.